This article will present the main differences between Gothic and Romanesque architecture. 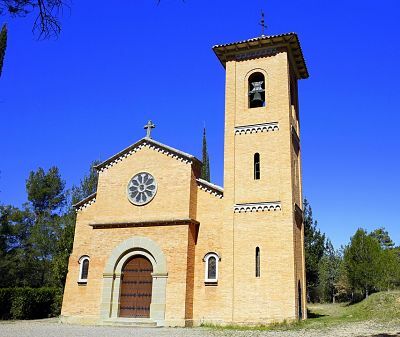 The Romanesque style began to spread from the first half of 1000 until 1200 about, While the Gothic 1100 until the second half of the 12th century. Gothic architecture is expressed in more elaborate forms to celebrate the richness of the urban bourgeoisie, Furthermore we find constructive innovations. It introduced the pointed arch, Hence the high-arched Vault. The walls are replaced with stained glass , allowing the structural complex to be lighter and more slender vertically. To balance the pushes outwards introduces the buttresses and buttresses. The span is often rectangular, sometimes also the polygonal transept is almost in the middle of the Church. A very noticeable feature of this type of building are the rosettes (large circular Windows) and the pinnacles (pyramid-shaped architectural elements usually placed on the Spurs to slim visually the building and strengthen the stability of the supporting structure). 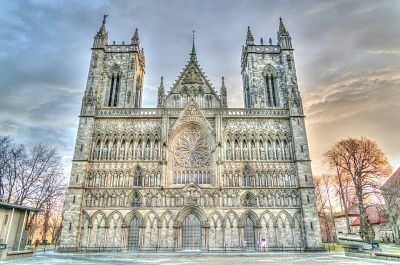 The differences between Gothic and Romanesque architecture can then be traced to precise historical or purely structural elements. The Gothic Cathedral is definitely the most impressive building of the Gothic town, large has much to emerge on housing with the towers and spires, in order to be seen by very high distances. Where is the building on the left hand side at the beginning of this article please?